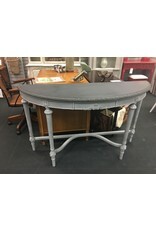 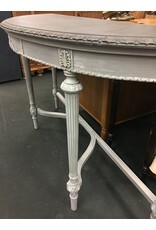 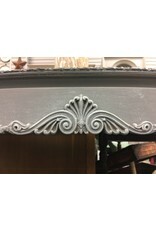 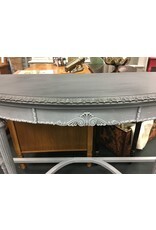 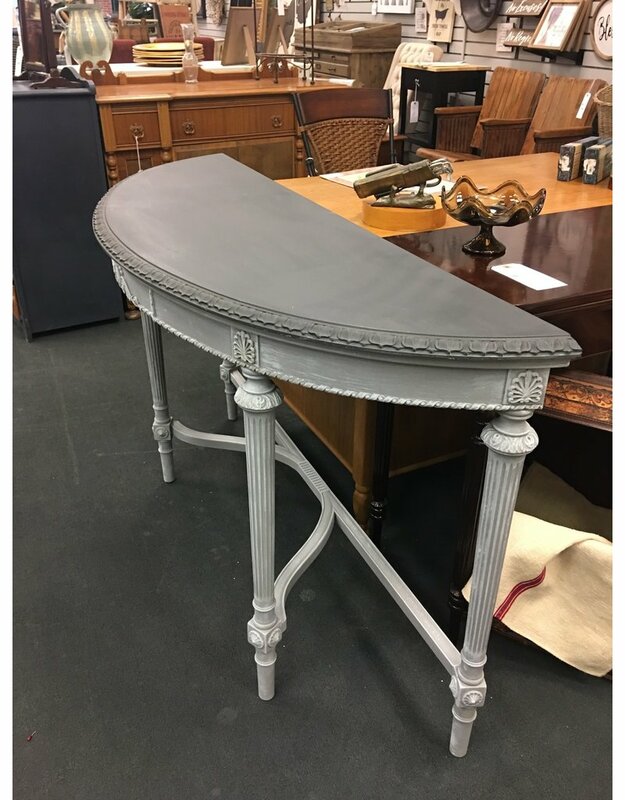 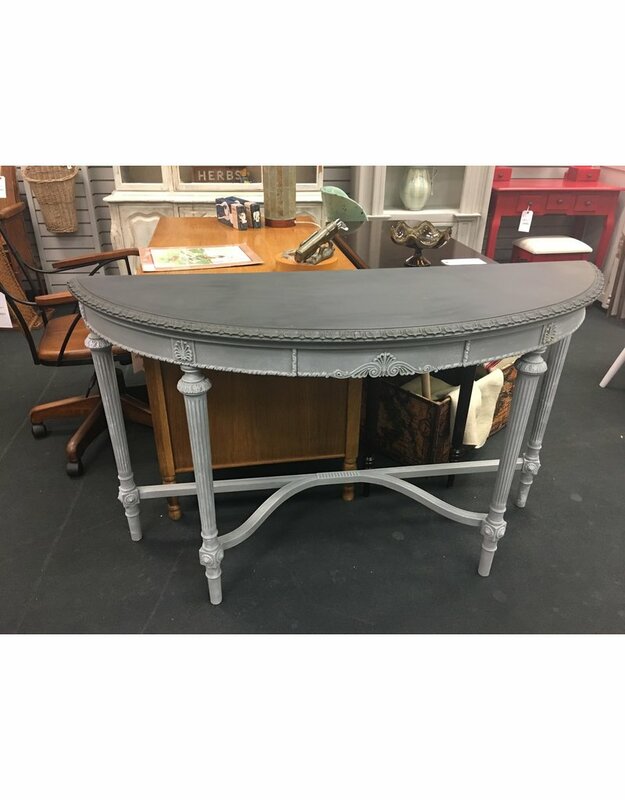 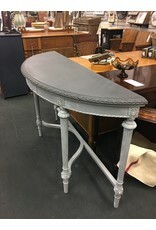 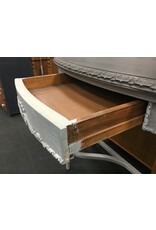 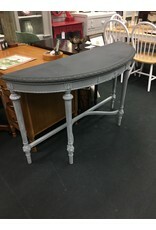 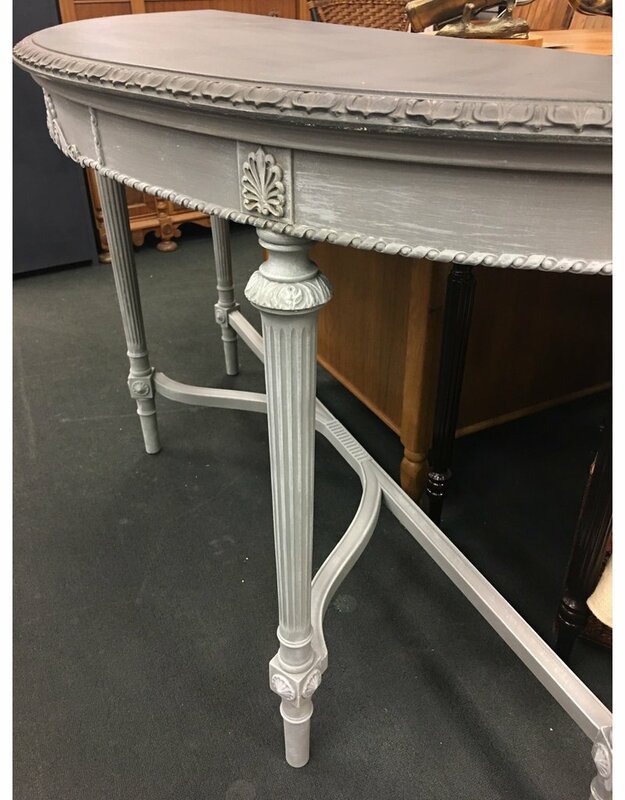 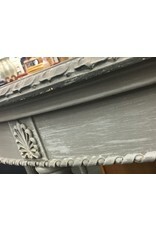 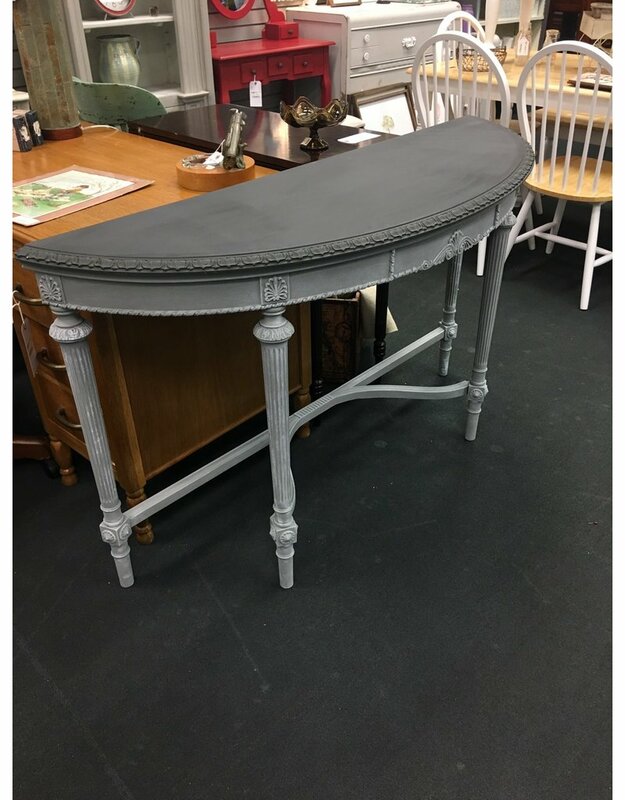 Add a splash of neoclassical style into your home with this two tone finished demilune console table. 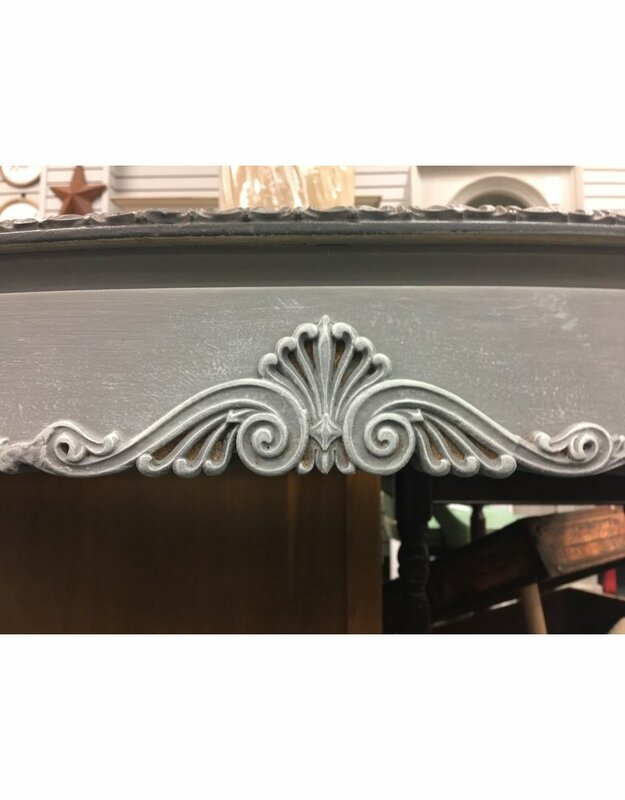 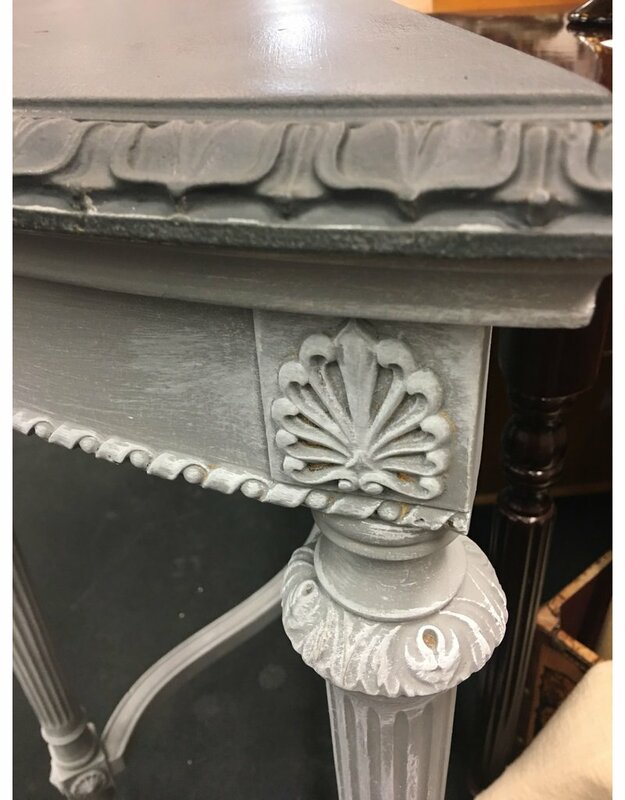 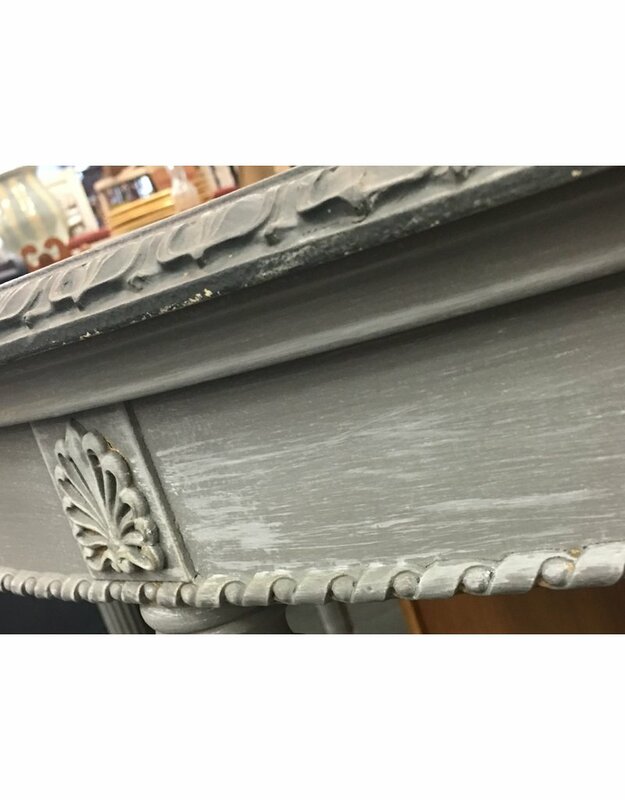 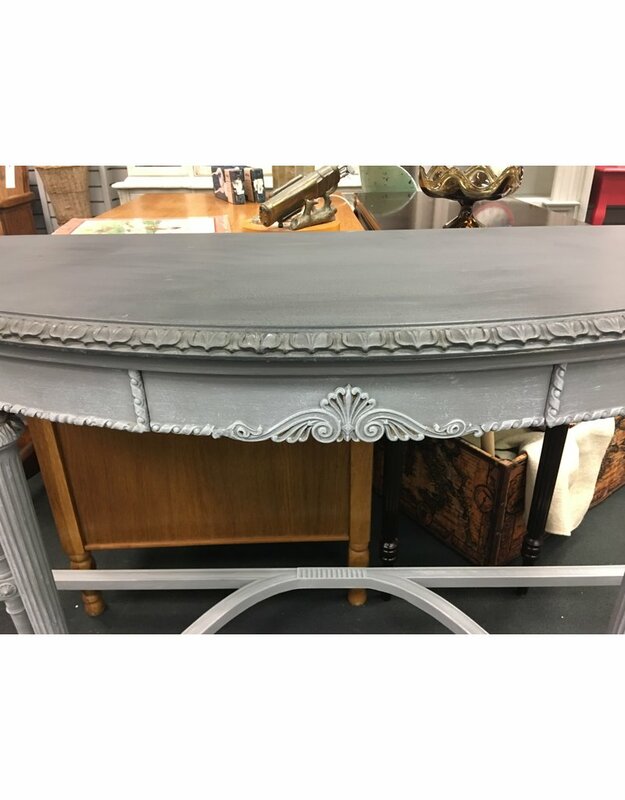 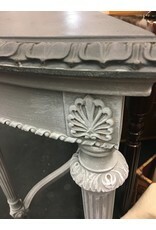 The two tone light and dark gray finish is hand painted, distressed, and accented to bring out all of the intricate detailing of the piece. 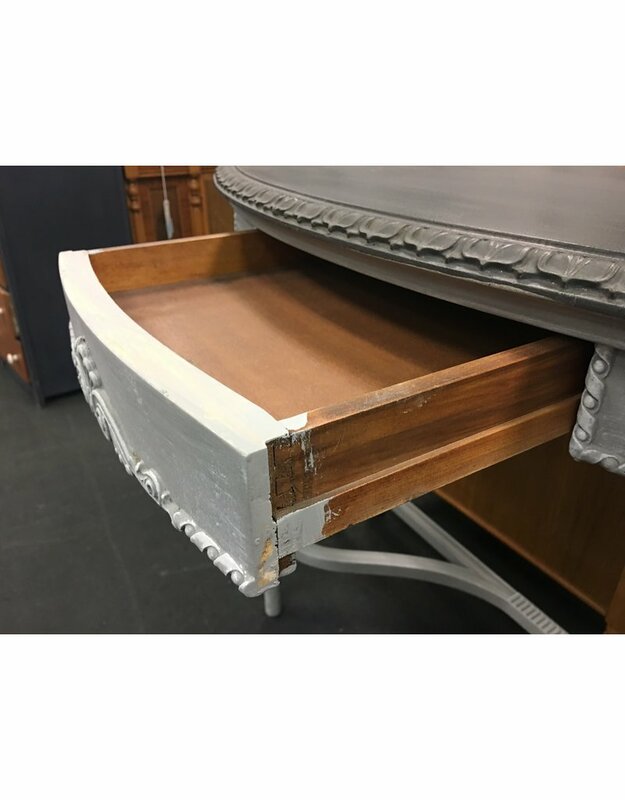 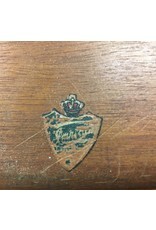 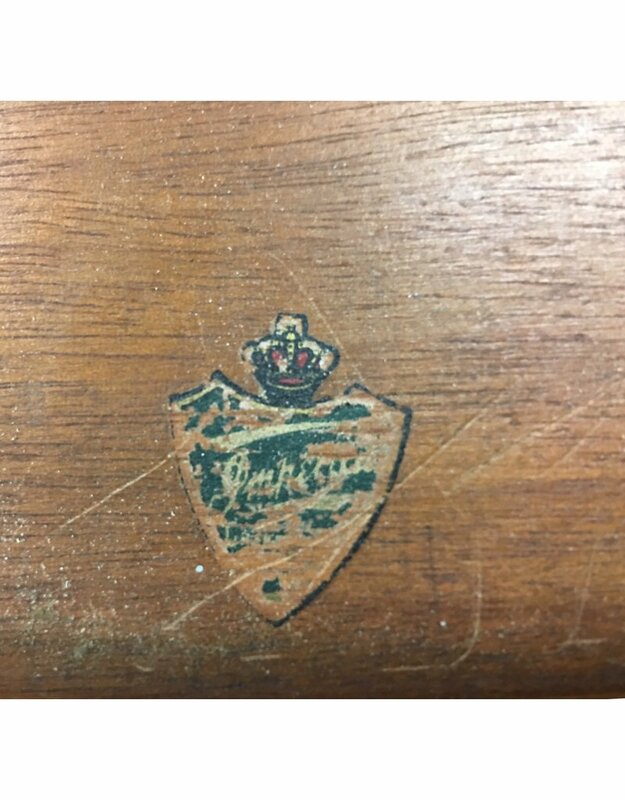 Originally constructed in Grand Rapids, MI in the 1950's by the Empire Furniture Co., the table features solid wood construction, one dovetailed center storage drawer, reeded legs, and elegant stretcher base. 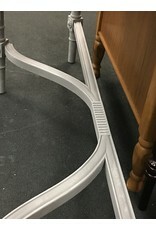 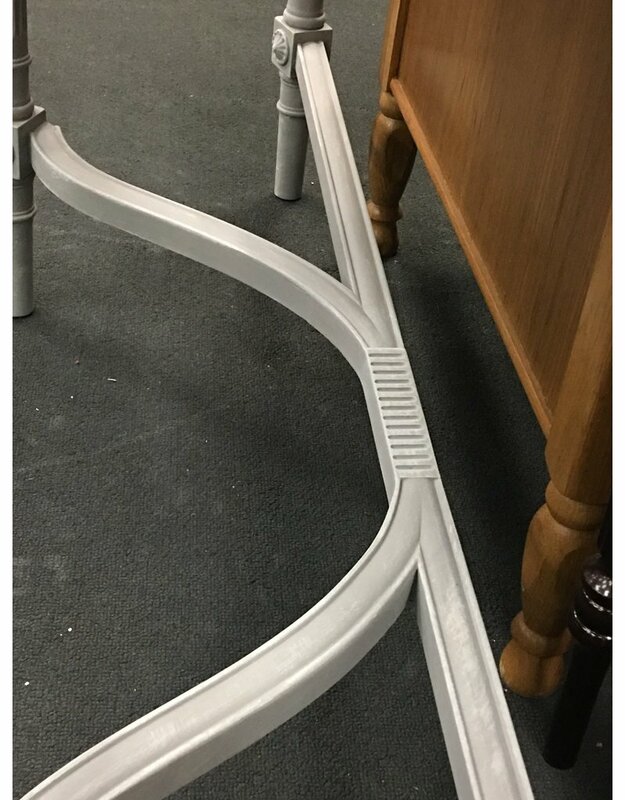 53.75" x 17.25" x 32.25"